Monica has been making candles since the early 2000’s. 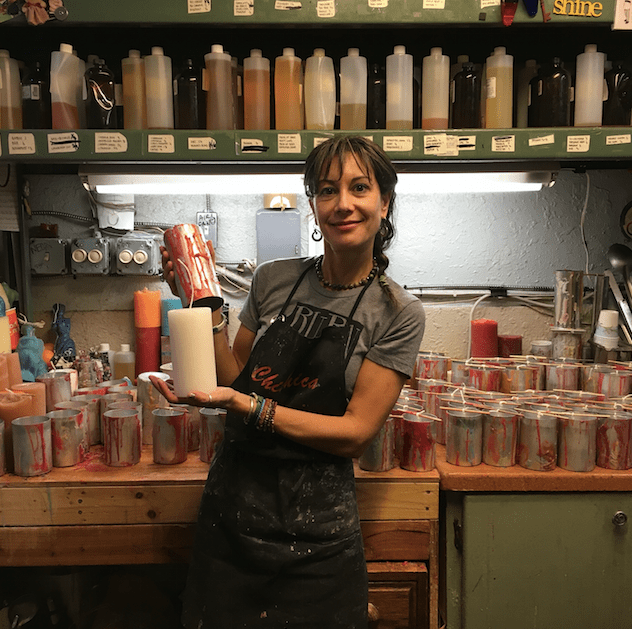 On a road trip, she stumbled across a small candle shop and instantly became mesmerized with the process of hand-pouring candles. She started dreaming about opening up a place of her own to pour wax and in 2002 a friend mentioned that he would be closing his business, T n T Smoke Shop at 324 N. 4th Avenue. That vacancy led way to turning the retail space into Rustic Candle Company, which specializes in pouring hand-crafted, scented pillar candles. 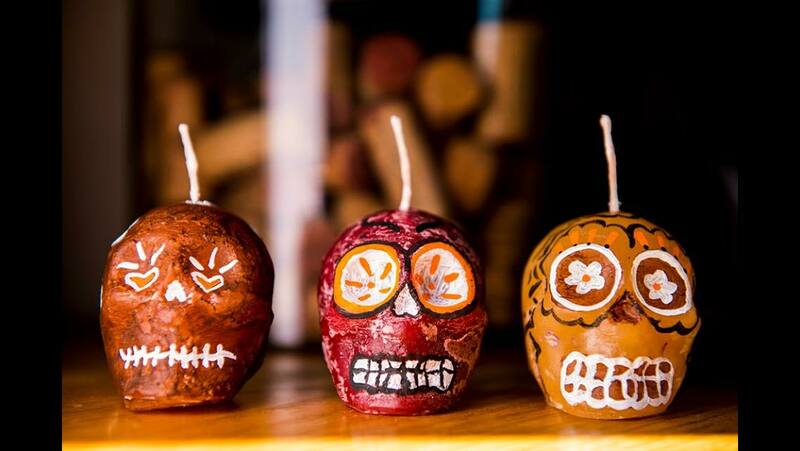 They also sell incense, seasonal candles, and even accept and recycle your old wax! We asked Monica, an Arizona native and Fourth Avenue Merchant, a few questions about what makes Fourth Avenue so special to her. In the middle to late 90s when I was bar tending on the Avenue during college. I was working at Berky’s on 4th (where the Surly Wench is currently located). I love the eclectic feel and funkiness of the Avenue. Someone will walk past with a mohawk and the next, a business suite. I also treasure the fact that the Avenue has kept its roots in small, locally owned businesses and that keeps the feel of the avenue especially unique. Oh, that’s a tough one! There are so many favorites! I love to go to the Chocolate Iguana in the mornings for coffee! Those girls are so friendly, they brighten my day. I’ll never forget the guy who had a dog, that had a cat, that had a mouse on its back. That was incredible. He had trained them to walk the Avenue and never budge. I’d bet he made some decent tips in those days. I would like to visit Fourth Avenue in the future, around 2040. I imagine the world will have changed. Maybe people will be flying around in their cars and riding hover boards but Fourth Avenue will still be exactly the same.